Mr. Bernanke, who turns 58 on Tuesday—which is also the Fed’s last policy meeting of the year—is entering what are likely to be the final, critical stages of his own deployment as head of the central bank. His second four-year term ends in January 2014, leaving him two years to finish the job. Many friends and colleagues say they doubt he would want a third term. Republicans have promised to retire him. GOP presidential candidate Newt Gingrich wants to fire him. One of the worst feelings one can have is that of “hopes shattered”. I remember back in late 1994 when I was working in the US and Mr. Fernando Henrique was elected president of Brazil. My hopes soared. Any country would be proud having someone like him as president. Cosmopolitan, spoke perfect English, French and Spanish, held a Phd in Sociology, lectured at the Sorbonne and Columbia University, had been a Senator, Foreign Minister and just before being elected president had been Finance Minister and responsible for the Plano Real which eradicated inflation, a long standing feature of the Brazilian landscape. But my high hopes were crushed after his first speech as president-elect. There was no “Reagan vision” or “drive”. As he implied: “people’s hopes are too high”. Oh! What a “cold shower”! 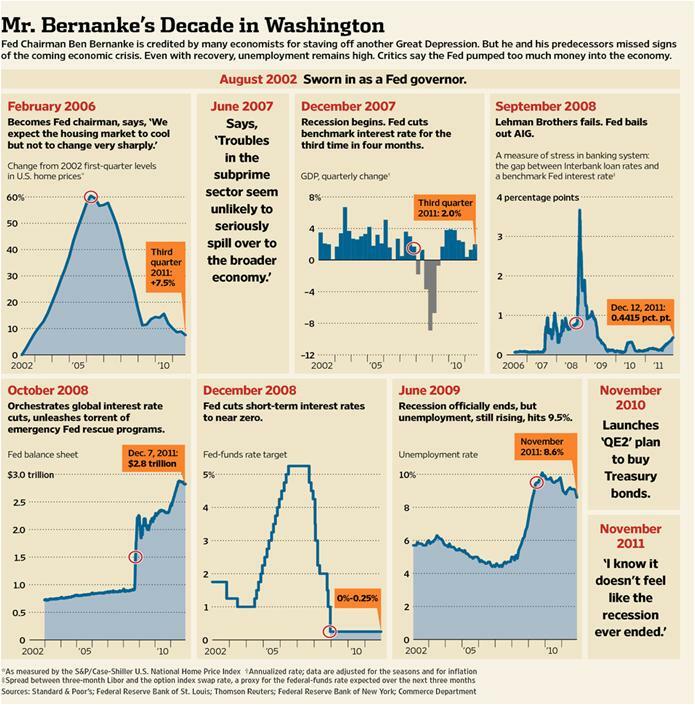 Bernanke´s “history” is similar. An upstanding academic and foremost specialist in the “Great Depression”. Had given great advice to Japan and even long before becoming a Fed Board of Governors member, let alone Chairman, had spelled out in great detail what should be done after Greenspan was gone. Had the longest “internship” and then “longest job interview” (while head of Bush´s CEA) anyone has gone through. 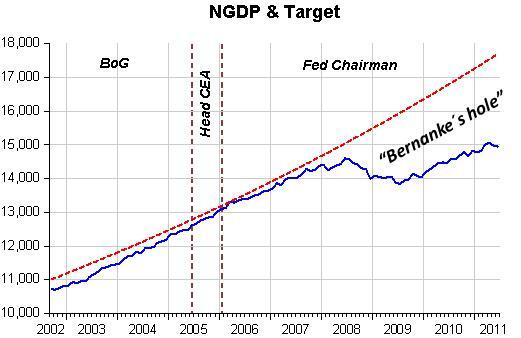 But what he´ll likely be remembered for is as the Fed Head that let “NGDP crash” for the first time since 1938, letting unemployment soar and stay in the “clouds”, while all the time positing the “credit view” and “rescuing banks”.